William Hill is staking its claim to the potential riches on offer in the US sports betting market by striking a bold joint venture with Eldorado Resorts, a Nasdaq-listed gambling group. Sky News has learnt that William Hill, which is under pressure in its home market amid more onerous government regulation and an accelerating shift‎ to online gaming, is close to announcing its most significant move across the Atlantic since the US sports betting sector was legalised. A deal with Nasdaq-listed Eldorado, which has a market value of about $3.7bn, is expected to be announced in the coming days, and could be unveiled as early as Wednesday.Sources said the terms of the agreement would involve Eldorado, which owns 21 casinos across the US, taking a 20% stake in William Hill's US business.The US group will also be granted restricted stock worth about €50m in the FTSE-250 bookmaker's parent company, which would vest over a period of up to five years, according to the sources.Under the deal, William Hill will gain distribution in Eldorado's casinos in 13 US states, with an online joint venture also planned.The British company has held talks‎ with a number of American peers since the US sports betting market began to be liberalised this year.Reports had suggested it was most likely to strike a deal with Penn National Gaming, but sources said on Tuesday that these discussions had been aborted at an early stage.The agreement with Eldorado is an important strategic move for Philip Bowcock, William Hill's chief executive, who has seen its shares tread water over the last 12 months as a crackdown on Fixed-Odds Betting Terminals (FOBTs) has hung over the gambling sector.Last month, its shares sank after reporting worse-than-expected trading in its UK business.Roger Devlin, William Hill's new chairman, recently warned that a government crackdown on the amounts that can be wagered on FOBTs‎ would leave the company vulnerable to a takeover bid from a foreign rival.William Hill does already have a presence in some US states, including New Jersey, Mississippi and West Virginia, although its partnerships with casinos there have been struck on a piecemeal basis. It has operated in Nevada for six years and said at its half-year results that it already notched up a 31% share of the state's sports betting market.Mr Bowcock's announcement will come within weeks of its rival, Ladbrokes' owner GVC, forging a wide-ranging alliance with MGM, the Las Vegas-based casino giant. Their $200m joint venture is intended to marry GVC's technology expertise and platforms with the footprint and brand of MGM, one of the world's biggest hospitality groups.The deal will get under way in Nevada, the only state where sports betting remained legal after the passing of laws in 1992.‎GVC and MGM will then expand the partnership to other states which legalise the pastime, with as many as 15 likely to do so in the near future.In the last few months, there has been a frenzied land-grab by multinational gaming groups to secure a slice of a nascent US sports betting market which was thrown open in May by a Supreme Court ruling.Paddy Power Betfair recently agreed to buy FanDuel, a fantasy sports league operator in the US.The UK gambling sector has itself witnessed a flurry of deals in recent years, including‎ Ladbrokes' merger with Coral and the subsequent takeover of the combined entity by GVC. 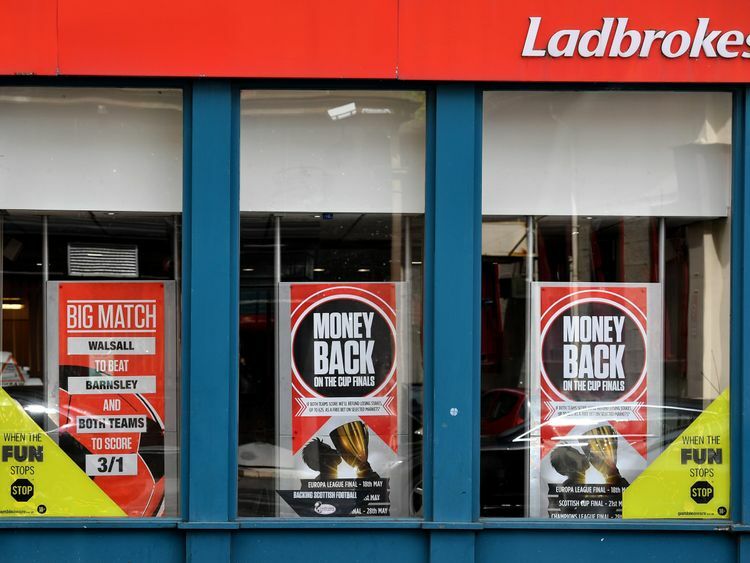 In April, Sky Bet was bought by Canada's Stars Group in a €3.4bn deal.William Hill, which had a market capitalisation of €2.2bn at the close of trading on Tuesday, declined to comment on its talks with Eldorado.